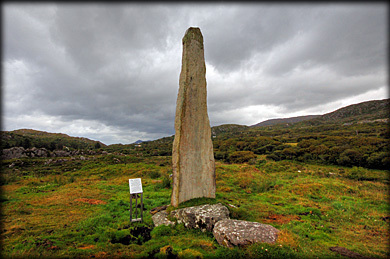 meaning "son of Deich descendant of Torainn" The monolith is thought to be a bronze age standing stone with the ogham added at a later date. Superb site and location. Situated: Actually very easy. 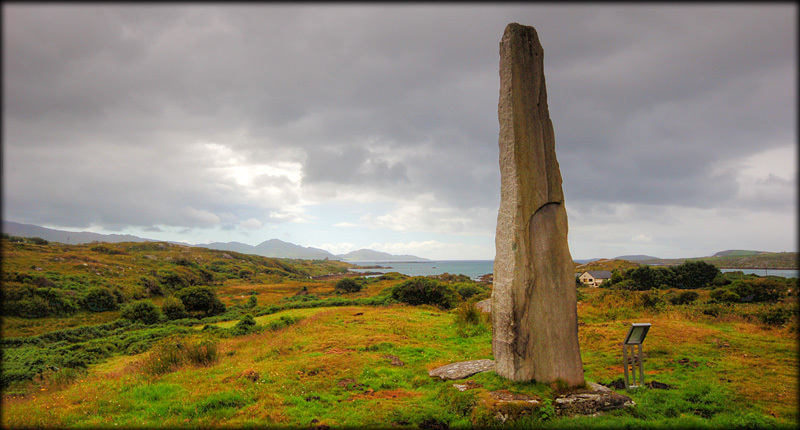 Head west on the R571 from Ardgroom. After 2.5 kilometres take a right turn, then right at the T-junction. Then left. Park at the Quay and walk straight towards the cottage in front of you. 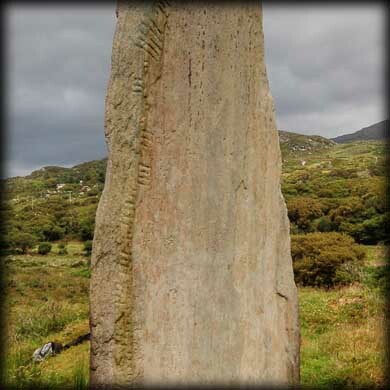 A track takes you up to the ogham stone. Donate 2 euro at the cottage. Discovery Map 84: V 6564 5294. Last visit July 2011.